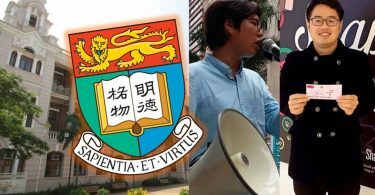 An activist has begun a hunger strike to oppose the selection method for choosing the Chief Executive Election Committee members set by the Hong Kong Christian Council, which critics say is a “bid-rigging” process designed to ensure large and possibly pro-government churches win most of the seats. Hong Kong’s mini-constitution requires the the city’s leader to be chosen by a 1,200 member Election Committee. The Christian Council – an umbrella organisation for Christian groups – has recently announced a two-round lottery, amid strong opposition, to fill the ten seats on the committee designated for the Christian community, as opposed to general elections that the Council had adopted in the past. 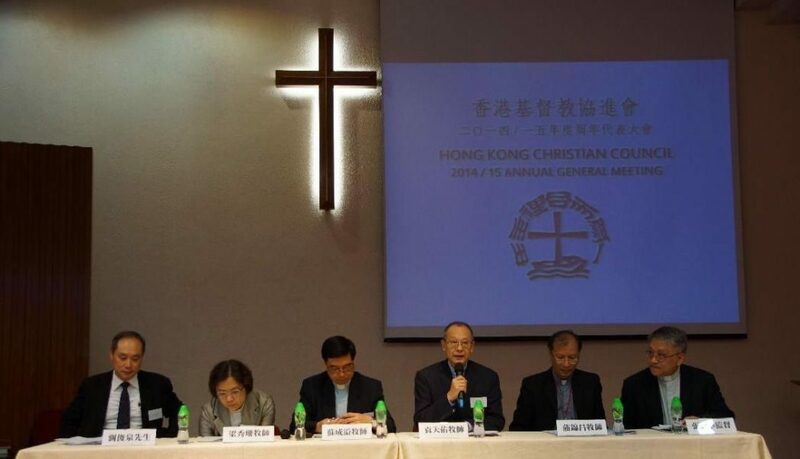 Hong Kong Christian Council’s annual general meeting in 2015. Photo: HKCC. 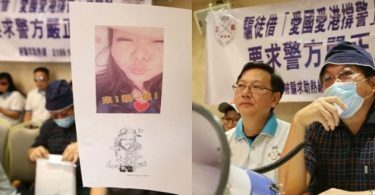 Activist Howard Lam Chi-kin of the Democratic Party went on a hunger strike on Tuesday in objection of the Christian Council’s refusal to follow the practice of the Catholic community, which is also given ten seats on the Election Committee but holds only one round of lucky draw and does not have multiple categories. “I will continue my hunger strike until Reverend Eric So Shing-yat [representative for the Christian Council] agrees to change the lottery arrangements,” Lam told HKFP, adding that he feels “a bit dizzy” but is overall fine. 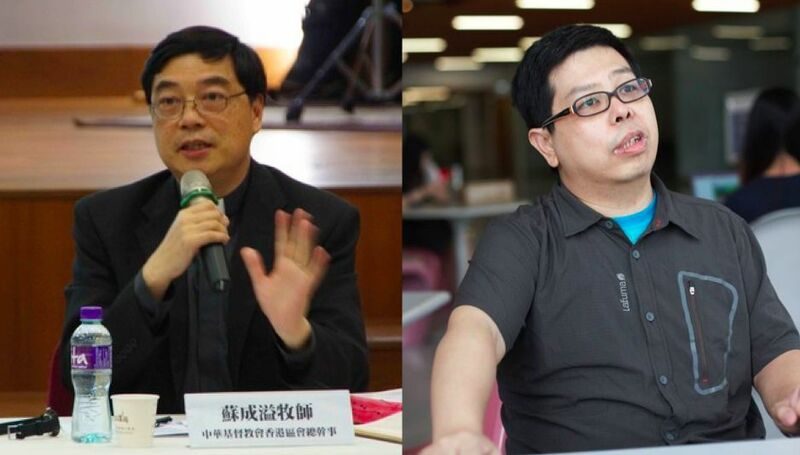 Lam recently formed an alliance to oppose the two-round lottery on the basis that the arrangements impose a high bar on individual Christians to run for the Election Committee seats and favour big churches. Under the new mechanism, a Christian can be nominated through four categories: individuals, denominations, churches and organisations. For the “individuals” category, a candidate must obtain 20 nominations from fellow Christians. Ten candidates from each category will be picked in the first round of drawing. The second round will choose the final ten from the resulting pool of 40 candidates. 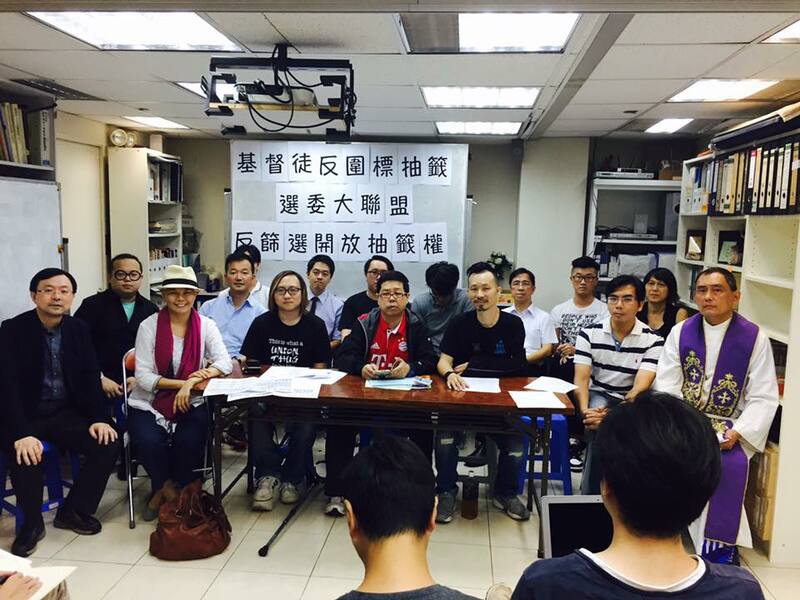 Howard Lam and others formed an alliance to oppose the Christian Council’s new polling arrangements. Photo: Fermi Wong, via Facebook. Lam’s alliance criticised the new arrangements for being a “bid-rigging” process designed to ensure that large denominations and big churches secure most of the seats. Lam said: “The vote is not equal – there are 300,000-plus Christians who can only rely on the ‘individuals’ category, while there are only a dozen denominations, some of which have hundreds of churches and organisations.” He said that large denominations can therefore dominate the other three categories. Lam also cited a report from a friend who has collected the required 20 nominations for entering the race through the ‘individuals’ category, but his church refused to issue a certificate verifying his Christian identity as required by the Council. Lam said there is no appeal mechanism for people refused a certificate of Christian identity and hence eligibility to participate in the lucky draw. The Christian Council denies the allegations, saying that the lucky draw arrangements do not benefit large denominations as the four categories restrict the number of people that the denominations can nominate. Reverend Eric So Shing-yat of the Christian Council (left) and Howard Lam (right). Photo: HK Christian Council/Stand News. So, the Christian Council representative, earlier said in a statement that the Christian Council had “broadly consulted” Christians, churches and Christian groups twice, and that there was no need to reiterate the Council’s position as the Christian community has voiced their opinions. The activist said he is intaking milk and water for the first few days, and will step up the hunger strike by drinking only glucose water if So refuses to agree to the alliance’s demand on Sunday. The 1,200-member Election Committee is made up of 38 sub-sectors. All except the religious sub-sector – which is entitled to 60 seats – are required by law to pick their committee members by elections, which are scheduled for December 11. The religious sub-sector’s 60 seats provide ten seats each for six religions: Christianity, Catholicism, Islam, Buddhism, Confucianism and Taoism. The Hong Kong Christian Council’s nomination period lasts until October 20. The first ballot round is scheduled to take place on October 30. The chief executive election takes place on March 26 next year.